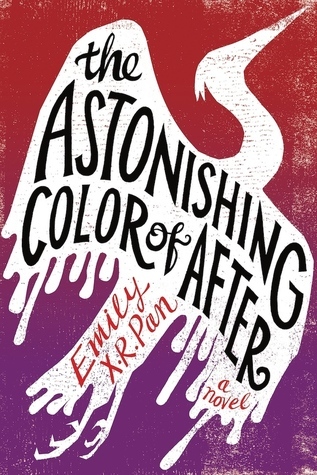 Review: A multitude of colors flashed through my mind while reading this gorgeous story. Leigh and her best friend Axel use the language of color to communicate their feelings to each other. Leigh continues that practice even when she isn’t with Axel. I found that secret code fascinating. She described her grandmother’s voice as rough and defensive and equated it with burnt sienna. She also heard her father’s voice as kings blue. It’s a rather unique way of sharing with others and it seems a perfect language for Leigh to use given her passion for art. Color is woven throughout the story and brings a richness and beauty to the story that will linger with me for a long time. Along with the descriptions of color, there are many references to both music and food. Leigh’s mother was a pianist and Axel is also a musician. Color is the visual background for the novel and music is another layer. Art and music seem to be necessities for many of the characters. Food is also an obvious necessity. Readers should not start this book when they are hungry though. The author must enjoy torturing those of us who have no access to foods like those described in the book. Fabulous foods in the book are often described in specific detail. I could practically smell the food. I suppose I’ve avoided addressing the issue of suicide long enough. For survivors of suicide, this could be a challenging book to read. One of my parents also died by suicide and the beginning of the book was quite difficult for me. There are so many “what ifs” after a suicide. They tumble through the minds of survivors. Leigh and her father are both reeling at the shock of the loss, but are also wondering what they could have done differently and why they hadn’t been enough to keep her alive. Grief is complicated and messy at any time, but grief after a suicide seems to me to be a slightly different creature. Leigh has lost her mom, her dad is withdrawn, and her relationship with Axel has splintered. This is why new connections with her grandparents and the hunt for her mother in the form of a bird are so important. Leigh feels lost and alone, but learning about her mother’s family and seeking answers helps Leigh work her way through grief and teaches her about love. There are many tough passages to read, but ultimately the story is a hopeful one. The image of a bird flying equates well with a person free from the specific sufferings of human life. I’m always a bit apprehensive when reading stories dealing with suicide. Every single time will bring my own memories to the surface. The supernatural aspects helped keep this story from weighing me down though. I loved thinking about death in this unusual way and sitting with people who were finding their way through the grief. At the end of the book, the author shares some personal connections to the story. She also offers many helpful resources. I know I would have appreciated some of these resources following my father’s death. Recommendation: Buy it now. This is an incredibly beautiful book exploring love, family, grief, and so much more. Leigh is an unforgettable character. It may not be easy to read, especially for those whose lives have been touched by suicide, but I’m so glad to have found this captivating story.